I’ve been resisting the temptation to write about Wikileaks and Julian Assange for quite some time, not least because every blogger north of Antarctica has said all that there is to be said and more. The two camps’ flags are fairly obvious and battle lines quite sharply delineated, so there’s little to add. A number of so-called Internet activists bang on about the Freedom of Information Act and the government’s widely suspected non-compliance, non-disclosure of things we should be allowed as citizens to know, blah, while others hold the view that diplomatic discussions held in camera have a right, if not to privacy, but to be decently clad in proper diplomatic language before being paraded before a largely gullible public. Additionally, it’s almost impossible for people to form accurate opinions given an avalanche of data so labyrinthine and presented so far out of context. We may have a right to information, as long as we accept responsibility about what to do with it. Mr Assange himself declared, however, that in reference to Britain’s Official Secrets Act, “The dead hand of feudalism still rests on every British shoulder; we plan to remove it.” Perhaps a spot of the old feudal spirit aka loyalty might not go amiss. It appears that there is a rather lonely individual at the vortex of all the ballyhoo. I am reminded of a quote from Orwell ” He was an embittered atheist, the sort of atheist who does not so much disbelieve in God as personally dislike Him”. For ‘God’, read ‘government’. Perhaps atheism and anarchy are bedfellows, or at least, uneasy allies. 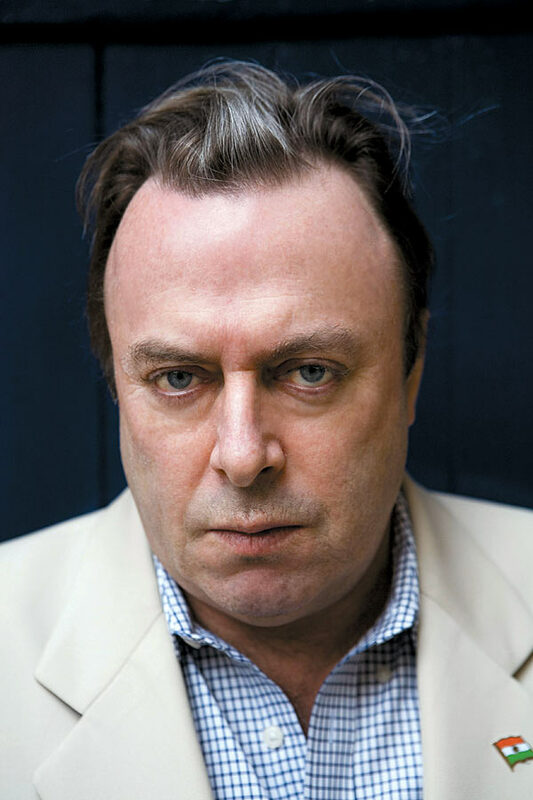 I thought that both Christopher Hitchens and Julian Assange had similarly defensive facial features; both look either secretly enraged or as if they’re trying hard not to cry. The possession of a physics and mathematics degree confers automatic intellectual superiority frequently without the wisdom to deal with it, and this, together with spectacularly inventive programming skills, does make Assange something of a loose cannon, a force to be reckoned with. Which, I rather suspect, is what he wants. “Notice me!” he shouts. But, is he a cyberterrorist or Internet freedom fighter? Some people seem to think that he’s really done rather well and got A grades for his homework. He received the 2008 Economist Freedom of Expression Award and the 2010 Sam Adams Award. Utne Reader named him as one of the “25 Visionaries Who Are Changing Your World”. In 2010, New Statesman ranked Assange number 23 among the “The World’s 50 Most Influential Figures”. Others less inclined to leap on a journalistic runaway express are more candid, pointing out his almost nomadic lifestyle and at least one former associate described him as ‘weird”. I wonder if the population in Wandsworth nick would agree? But, what of the reclusive Mr Assange himself. He doesn’t present well to the cameras, having as he does these days, something of a hunted look about his eyes, as if he’d been remorselessly bullied at school for being a clever-trousers. It’s interesting to observe that he’s so ticked off some awfully important people that they’ve stopped his pocket money and want to keep him in detention for quite a long time. It would seem that some of his friends have been caught scrumping as well; crashing MasterCard’s server is no mean achievement. But, of course, that had nothing to do with him. Of course not. 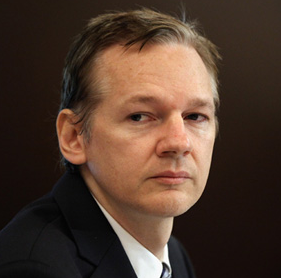 It remains to be seen whether Wikileaks will unearth some private emails from top persons speculating as to the best way of giving Mr Assange six of the best, trousers down, without making it look as if his First Amendment rights were being violated.